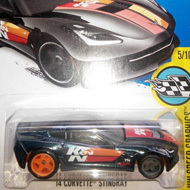 114/250 is part of the 2016 Super Treasure Hunt set and 4/10 in the HW Showroom series. The Spectraflame blue sports car features orange stripes down the top center with “TH” inside the wide stripe on the roof. The hood is black with the Porsche emblem inside the orange stripe. The rear spoiler is also black and detailed with “Porsche” and the Hot Wheels logo in orange. The car has tinted windows, a white interior, orange Real Rider Exotic wheels, and a gray plastic Malaysia base. 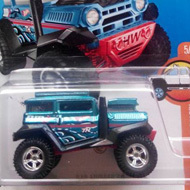 This vehicle can be found in mix “E” of 2016 Hot Wheels mainline cases. 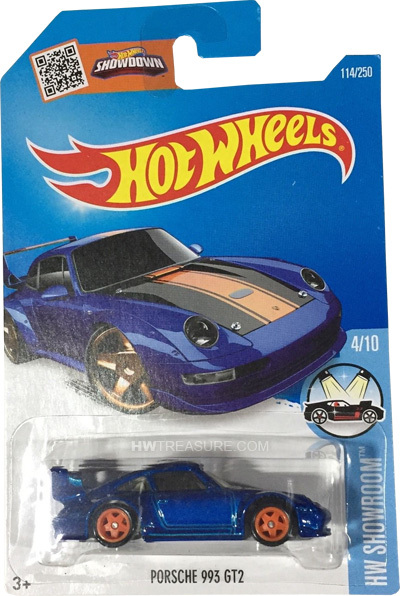 The Porsche made its debut in the 2013 Hot Wheels Boulevard series and is based upon the car of the same name. The GT2 is a version of the 993 Turbo that was developed for road racing.